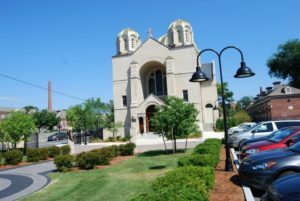 BOSTON, MA – The parish council of the historic Holy Trinity Greek Orthodox Church of Lowell, MA decided to cut its annual contribution to the Archdiocese in half, from $48,000 to $24,000. Only two members abstained from the unanimous vote. Also, the issue of $650 per month for the priest’s pension plan was discussed. Holy Trinity is the only parish in New England that sustains a Greek Day School, and has for the past 108 years. But now the school has only 106 students enrolled, which includes Kindergarten, and less than 25 students are from the parish. In December, the assembly voted closing down the school, but at the last minute gave it a one-year extension. Recently, the principal suddenly resigned. Fr. 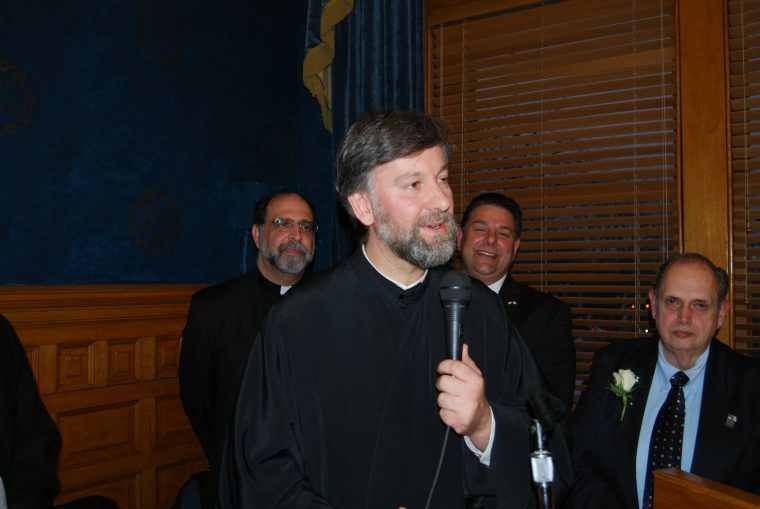 Nicholas Pelekoudas is the parish priest, and he is also supervisor of the Greek Education of the Metropolis of Boston. Parish Council President George Kontos confirmed to The National Herald the reduction of funds for the Archdiocese and that he would provide a more extensive interview soon. In a subsequent telephone conversation, he told TNH that it would be a month, and declined at that point to comment further on the matter. Community members told TNH that the parish is dwindling. One prominent member, who chose to remain anonymous, said the number of parishioners has dwindled to 595 after having consisted of 1200 families. The congregation on an average Sunday is between 60 and 100 people. Congregants told TNH that on the parish’s Feast Day of the Holy Spirit, only 40 people were in church. The annual membership dues are $400 for families, $350 for individuals, and seniors pay whatever they can afford. Lowell has two additional parishes: Transfiguration and St. George. 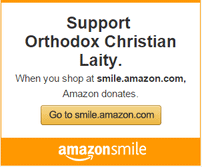 About five miles away is the town of Drake, where there is the parish of the Dormition of the Mother of God. At some point years ago, Lowell was a vibrant area in terms of Orthodoxy and Hellenism. The withering in recent years of parishes, some contend, is because of the behavior of the local hierarch of Boston, whom they say chased away volunteers, such as from the Transfiguration parish. Hundreds of families have left the parishes generally and thus Lowell today is in a critical state. 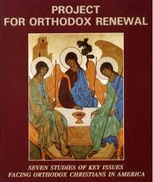 As for Archbishop Demetrios, his presence in the Lowell area over the past 19 years has been virtually nonexistent.